As a business, you understand why it’s important to create a repeatable business. This is exactly the reason tools and software are so valuable. In fact, many modern business owners and their employees rely on software for their day to day hustle. And actually integrate multiple applications to help simplify their business processes. This helps them further eliminate human error, because a wide range of tasks can be interconnected and automated together (think Zapier). SaaS cloud-based software solutions are booming, and becoming more sophisticated than ever; all while being easy to use and set up. 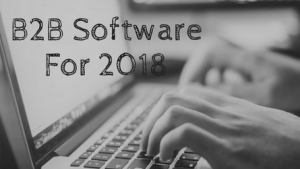 Let’s take a look and see what software can help your B2B business excel in 2018. B2B marketing can be difficult, and businesses are constantly trying to come up with ways to increase their B2B leads. This is why many businesses turn to lead generation and lead management software. Finding new ways to reach leads instead of using the typical mass advertising methods seems to be better for building relationships. By having the right tools, you can increase your lead management output pretty easily. Whoisvisiting, for example, can help you track which companies are visiting your website. Then this information can be imported directly to your CRM. This way you can further stimulate those leads and turn them into sales. Almost every business out there is using some sort of email automation tool. Whether it be a full-fledge campaign, or simply just for customer inquiries. The thing with email automation is that this type of software can really be utilized by everyone on the team. Your sales team probably has certain drip emails they use. Your marketing team may use it for newsletters and promoting your products. Your customer success team probably even uses it in some way, shape or form, too. It’s well-known that if your business has a long sales process, there needs to be multiple touch points with customers. This is even more true as the sale gets closer to the bottom of the funnel. By using email automation to send emails based off of events, it can help a B2B business in closing a deal. Some of the more popular email marketing automation tools include Mailchimp and Campaign Monitor. Both of which are jam-packed with features. Some smaller B2B businesses may not need all of the perks that come along with the bigger email tools, and often opt for tool like Drip, which is more specific in that it just helps you send drip email courses. It doesn’t matter if you’re B2B, B2C, or anything in between. Being efficient is a must. Fortunately, it’s 2018 and there are a ton of tools and software that are meant to help you out. Many B2B businesses write content, be it for their blog, case study, a course they are offering, or any of the other one million things a business needs to write about. Getting some grammar and editing help is essential, especially if you want to be taken seriously. Hemingway Editor helps you uncomplicate your writing. Thus, your customers are able to easily follow along with what you’re trying to convey. Another great grammar tool is Grammarly, which is a free grammar checker. Both of these tools will allow you to be confident in what you’re sharing with customers (and your work turns out great when you use suggestions from both!). Writing isn’t the only thing you have to worry about. Another way to be efficient is to keep up with your tasks and projects. Asana, is just one of the tools that you could use to thrive. In fact, when your whole team is able to track projects together, things actually get done. Delegating responsibility is a must! There are a ton of marketing automation tools and software on the market. Marketing automation tools help by creating a more in-depth email campaign for your customers that really hones in on their customer journey. A lot of businesses choose to use both an email automation tool and a marketing automation tool, however. Even though marketing automation tools seem to be used more by mega vendors and fast-growing businesses. The B2B businesses who do choose to use marketing automation software often see a rise in revenue growth (around 60%). Some software options that are floating around can fit into a few different categories, like Intercom. Intercom may be more well-known for their in-app messaging software, but Intercom also has the top qualities of a marketing automation software. Being that you can create engaging and targeted messages and even create and publish helpful articles. Contactually, is another tool that can wear multiple hats. Most people think of it as just a CRM, but it also allows you to create targeted messages and email templates to send to customers. HubSpot is similar to Contactually, in that it can do a combination of tasks. It’s a sales tool, marketing automation tool, and CRM all rolled into one. 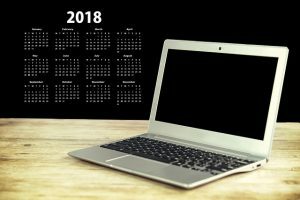 There are a ton of reasons B2B businesses should use analytic tools in 2018. As it turns out, brand management and monitoring helps businesses leverage themselves above the competition. Properly identifying prefered customers and personas is also done with the use of analytics. This is why software such as Google Analytics gets highly praised. It allows businesses to use algorithms to segment customers, and then forecast and improve their sales strategy. 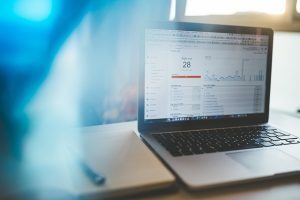 Another reason web analytics, like Open Web Analytics, are important is that they stretch beyond the sales team and really help out the marketing team, as well, by allowing them to optimize marketing campaigns and track what might be driving in leads. Optimizing your website is how you get found by your target audience. Though many businesses pay to rank better, working on your organic search results can mean higher CTR (Click through ratings). Meaning, you need to be on top your SEO game. The best way to do this is to use SEO optimizations tools. In recent years, tools such a SEMrush have blown up because they are so helpful at allowing brands to see the bigger picture. As you can compare keywords and landing pages to competitors. Honing in on your top keywords, plays a huge role in amping up your SEO strategy. SE Ranking or Google Keyword Planner, are awesome tools that provide great keyword position tracking. This is helpful when it comes to creating sticking content for your brand. Since SEO related content has emerged, there has been a multitude of SEO tools on the market. Moz SEO products are one of the big guys in the game, and offer a pretty extensive toolkit for both beginners and experts in SEO. They also offer a few freebie tools, and a pretty extensive 30-day free trial. With all the SEO optimization tools on the market, you should be in pretty good shape with whatever you choose. You may even find yourself using multiple SEO tools! A ton of B2B businesses are using social media to engage with their customers. In fact, most B2B businesses use multiple accounts to connect with different audiences in their customer base. The problem with running so many accounts is that it can be time consuming and tedious. So finding a way to easily manage them all has become a necessary task in a the daily life of a marketer. There isn’t really any right or wrong tools out there. It’s more about finding which platform you like working with best. One of the front runners in the social media management tools is Hootsuite. It’s one of the more popular and well-known tools available. For smaller B2B businesses, it’s perfect because the free version can handle everything needed as far as scheduling posts and tracking results. Like many of the other sections mentioned in this article, you may find yourself using multiple social media tools. Or connecting two together. For example Buffer, a very easy and flexible tool easily connects to a variety of other tools. This helps to create one mecca social media scheduling machine. Hiplay, an evergreen content jukebox easily plugs right into your Buffer feed, and allows you to set up a constant flow of content to your social sites through Buffer. Meaning you don’t have to schedule every single detail on your own. Sharing information with customers is crucial. That can sometimes mean sharing an entire page or glazing over an intricate step. In fact, if you ride the customer service desk, you may find yourself taking screen captures and quick videos for customers showing them how to use your product. This is exactly why screen capture tools like TechSmith’s Snagit exist. Snagit allows you to take a quick screenshot or video of your screen to share. Plus, you can quickly edit those screenshares by adding notes, arrows, and other information, if necessary. Having a good video creator is also important. TechSmith has a variety of software to help in this realm (on top of their Snagit tool). For example they also have, Camtasia which is a great video editor. You choose your footage, edit, then share with your customers. Animated explainer videos have also grown in popularity as the rise in SaaS businesses increase. If you want to get more animated with your video creation, a tool like Powtoon may be more suitable. Powtoon is great because they offer a rather large gallery of characters, props, backgrounds, etc. to help you create your story. Plus, they just recently added a few new features including the capability to import your own video clips. It’s no secret that businesses who utilize an online scheduling software have boosted sales. 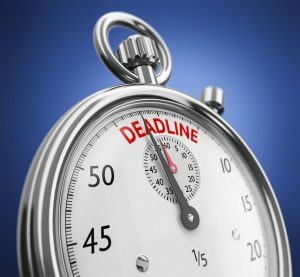 It’s part because it helps eliminate the confusion and back and forth messaging of trying to find a time that works for both parties, and part because it gives you a professional face-lift right from the start. When you’re a busy B2B, and working with a variety of other businesses, it’s better to work smarter, not harder. Which is why scheduling software like Calendly exists. It helps coordinate your schedule based on all your combined calendars (both personal and professional). Therefore all your meetings can be scheduled and set without having the worry of overlapping events. There are plenty of other great scheduling tools and software out there too. vCita, for example is a great all-in-one business management app that can help you handle everything from your schedule to billing and invoicing. Along the same realm falls mHelpDesk, which has a variety of helpful tools. Including online booking, lead management, and even workflow management. Honestly, there is a wide variety of scheduling software out there, you just have to poke around and see which one you prefer working with. Keeping existing customers happy and coming back is a lot easier, and not to mention more cost effective, than marketing yourself to new customers. A simple way to do this is by implementing some sort of referral or loyalty program. You may be thinking that these types of programs are meant more for B2C businesses, but that isn’t necessarily true. In fact, many businesses can keep their customers and partners happy by incentivizing them to stay loyal. Referral marketing software, like Referral Rock, is an option you have for keeping your existing customers happy, and increasing your word of mouth marketing. Taking a lot of the dirty work in marketing out of the equation for you. Usually, a business will only refer another business when they know the two are a good match. This is because they don’t want to risk losing a customer/partner themselves. The other option you have for keeping loyal customers is to utilize a loyalty program. For example, if your B2B business is a SaaS business that charges a monthly fee, it might be beneficial to offer a free month or some sort of freebie every so often. Think of it like a stamp card… A business pays $60 every month for a service. After paying for 4 months, they are rewarded with a discounted or freebie month. Another option is to give them one month’s access to a higher plan as their reward. Or you could incentivize with gift cards or swag. LoyaltyWorks offers a variety of loyalty program setups, including a partner loyalty program. As a B2B business, you probably realize that software is made to make your life easier. You’ll also see that there is a ton of software out there. In fact, the amount of software available can be overwhelming. However, once you figure out what you need in order to run your business, you can automate all the workflows together by using yet another software to stitch everything together. But, by adopting software you are further enabling yourself to scale your business more efficiently, creating a winning combination.